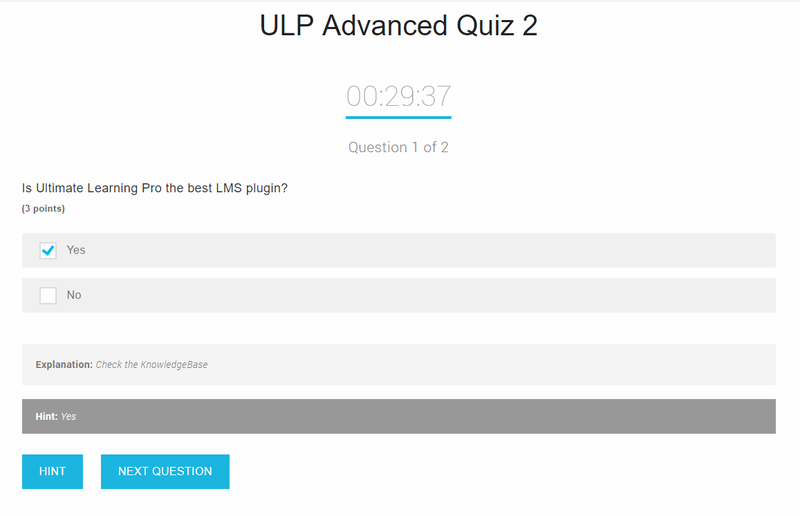 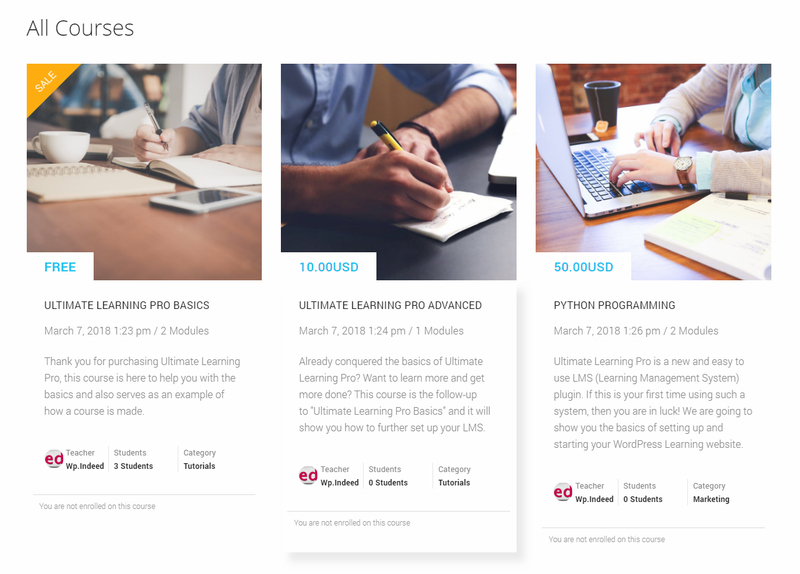 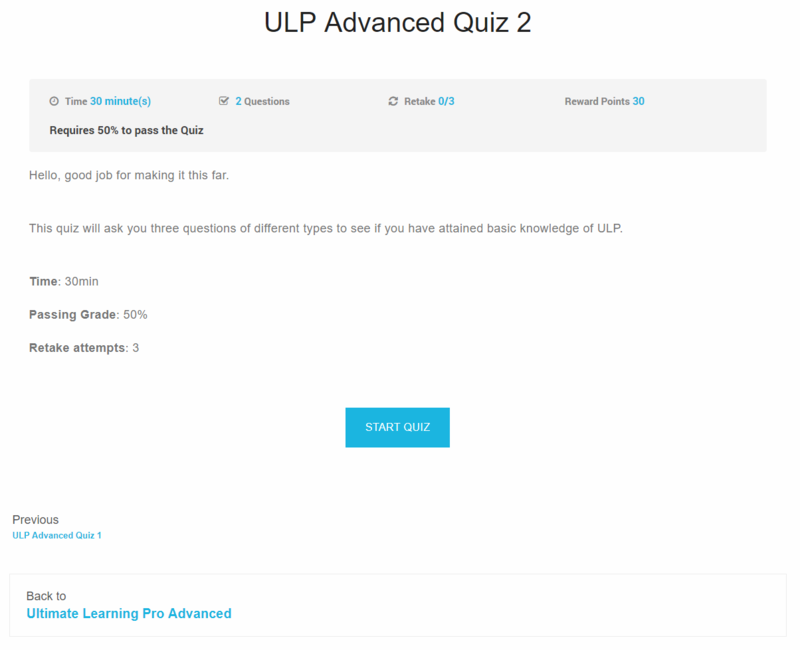 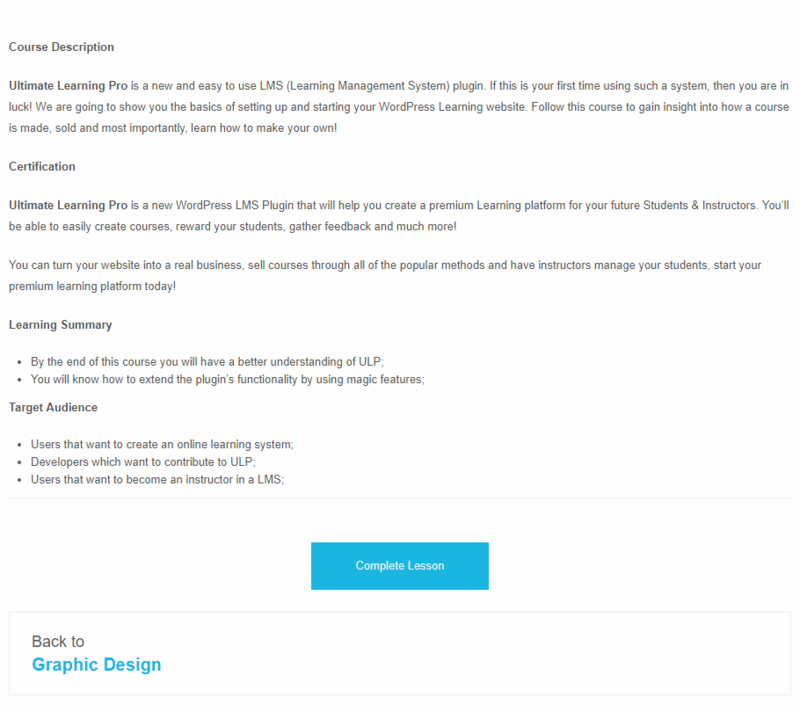 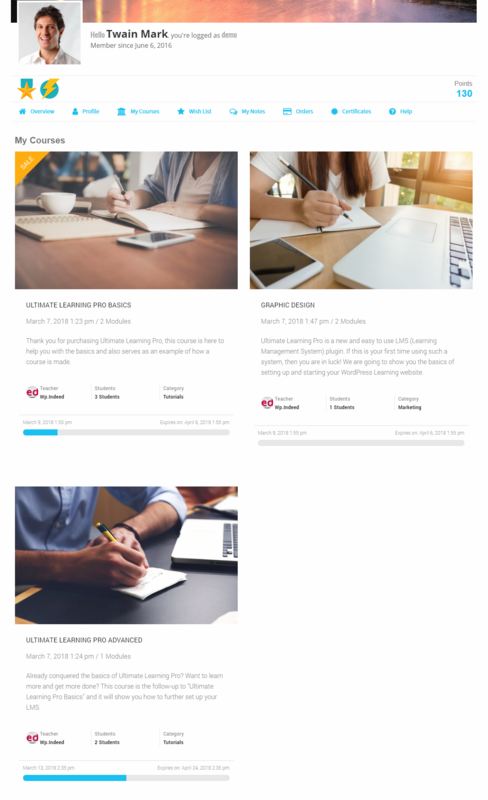 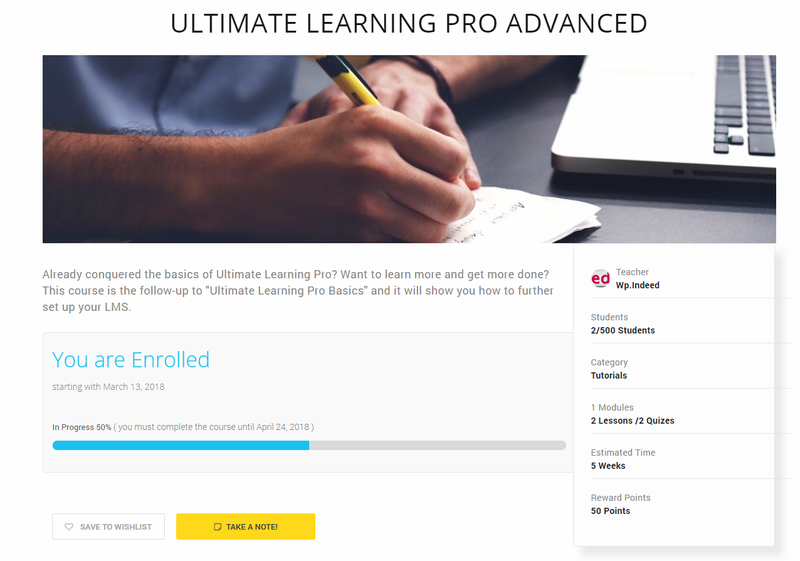 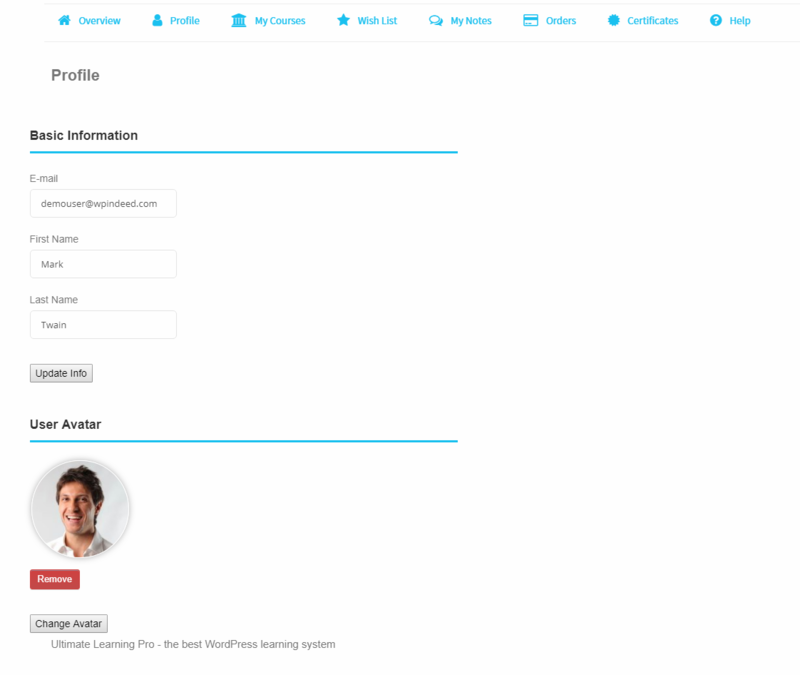 If you want to use Ultimate Learning Pro plugin, all you need to do is install WordPress 3.0+ with PHP 5.6+, and install the plugin. 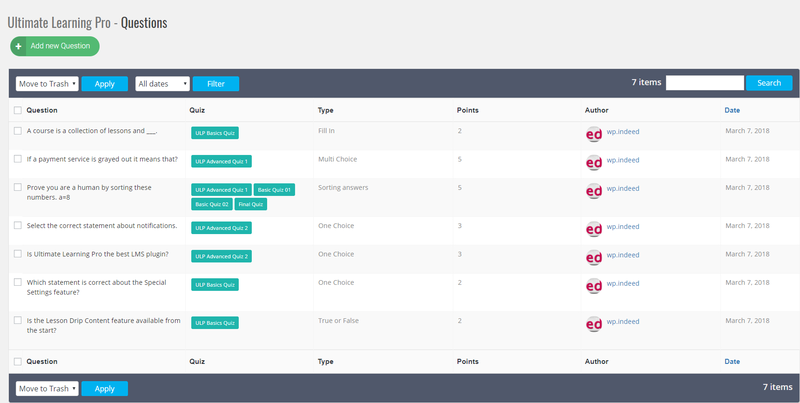 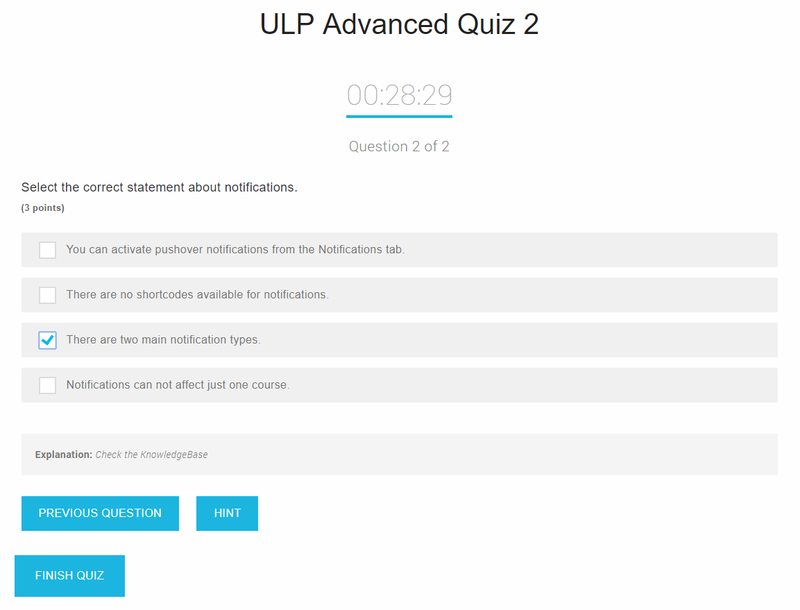 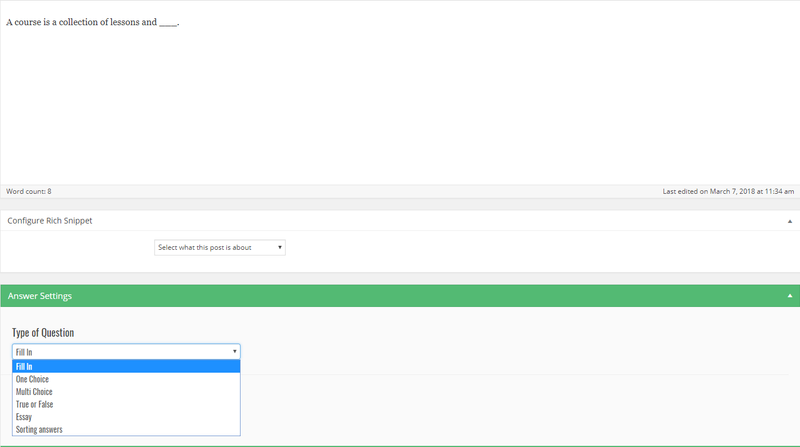 - Improve "Fill In" Question type to have multiple possible answers and multiple requests. 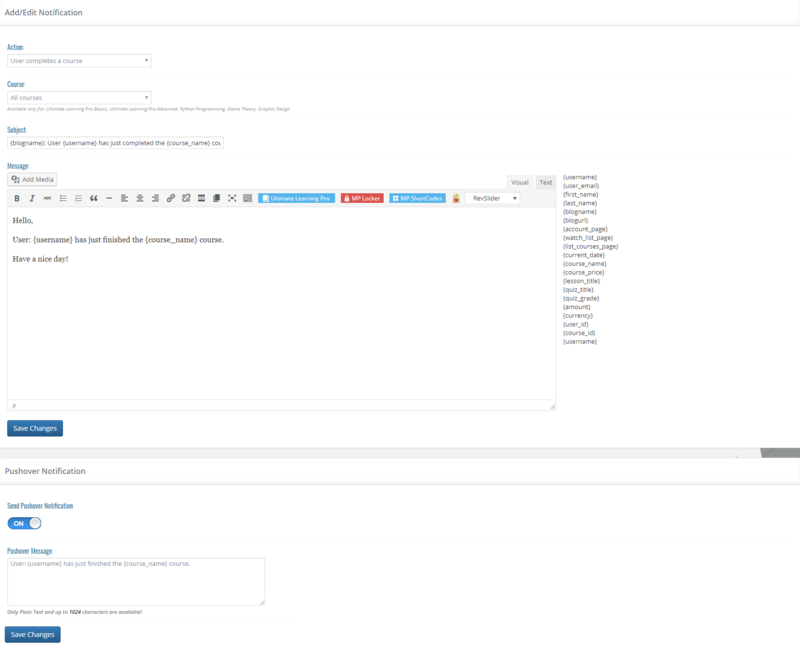 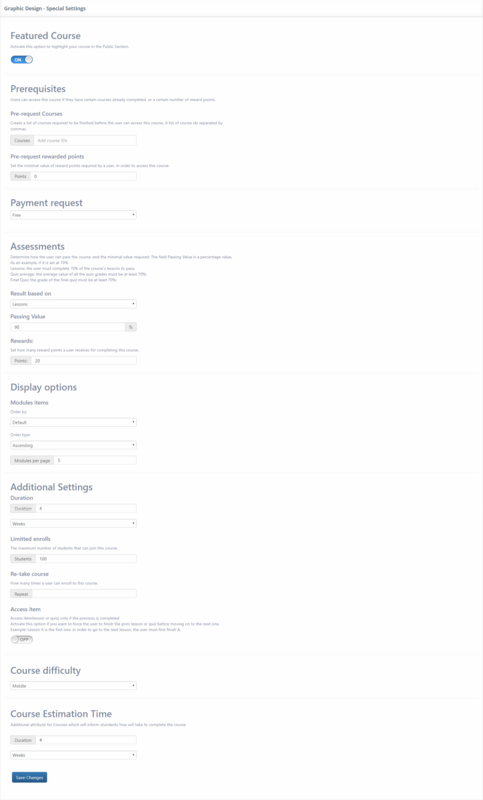 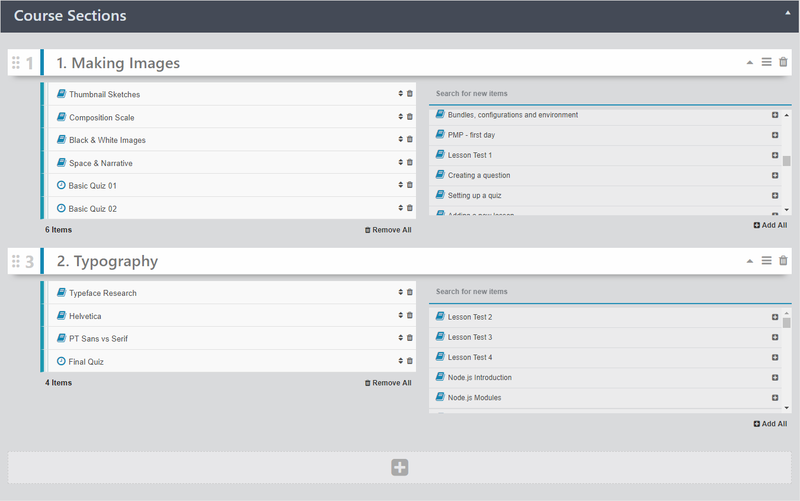 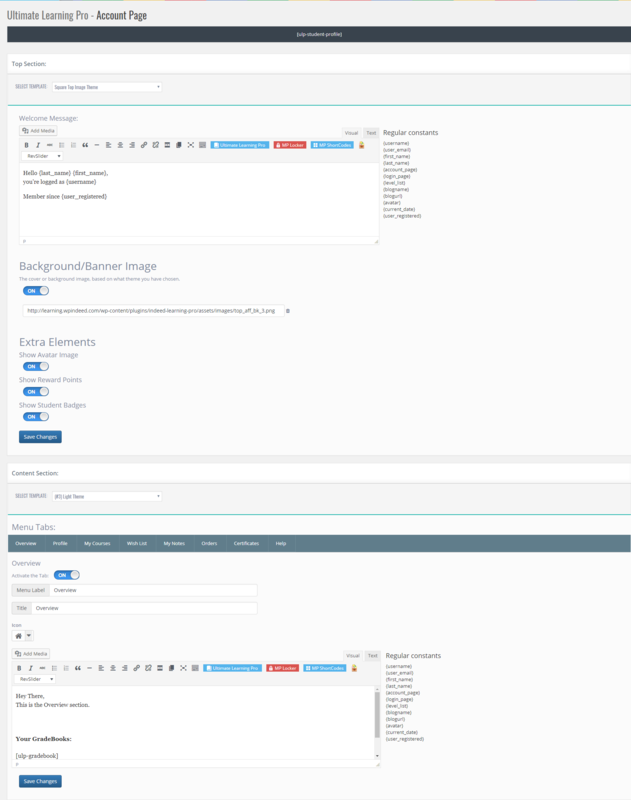 - ADD new Question type "Choose Image single choice"
- ADD new Question type "Choose Image multiple choices"
- ADD new Question type "Matching"
- Fix Avatar Image workflow on account page. 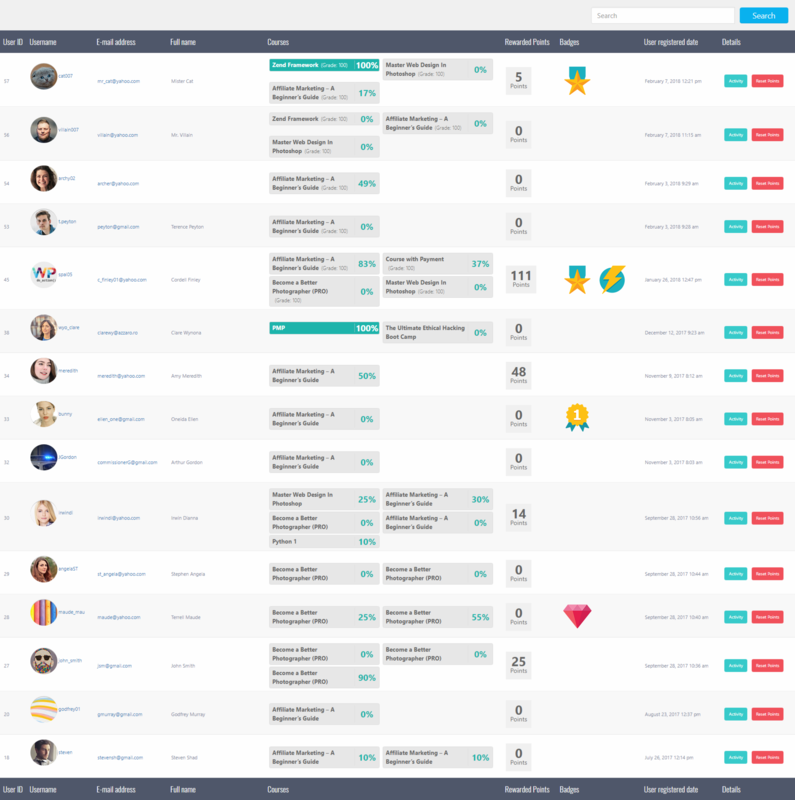 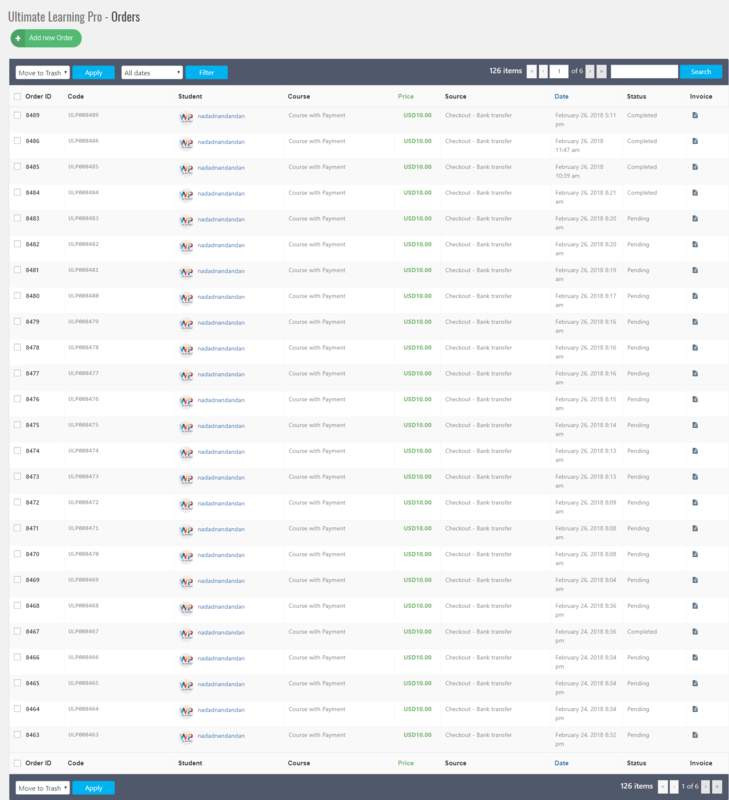 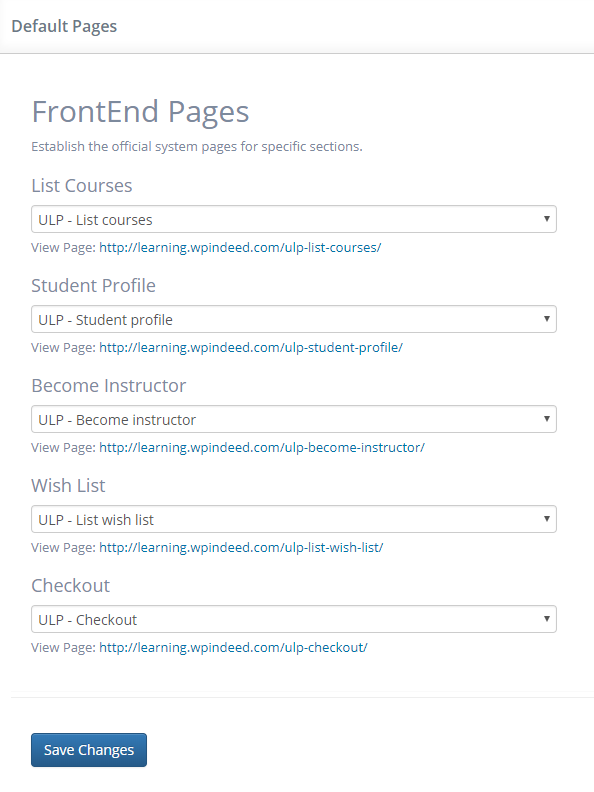 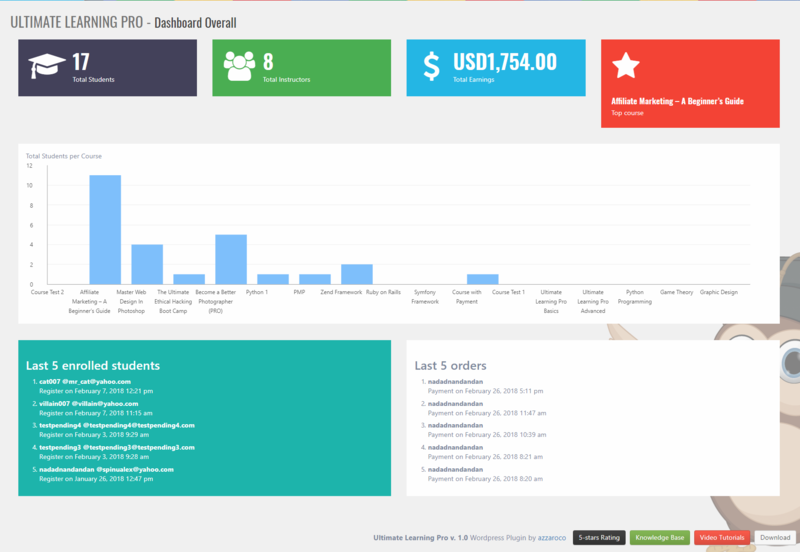 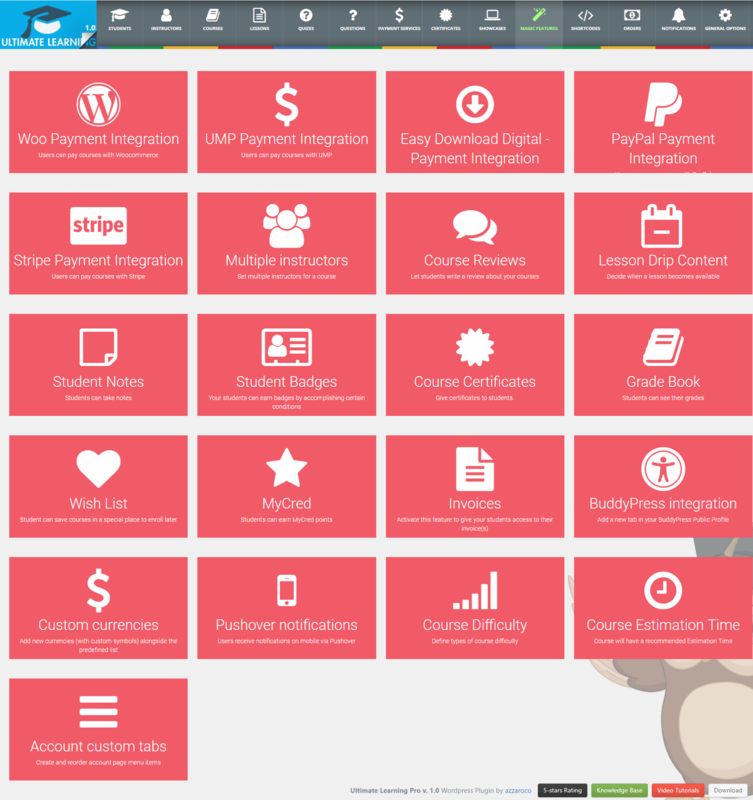 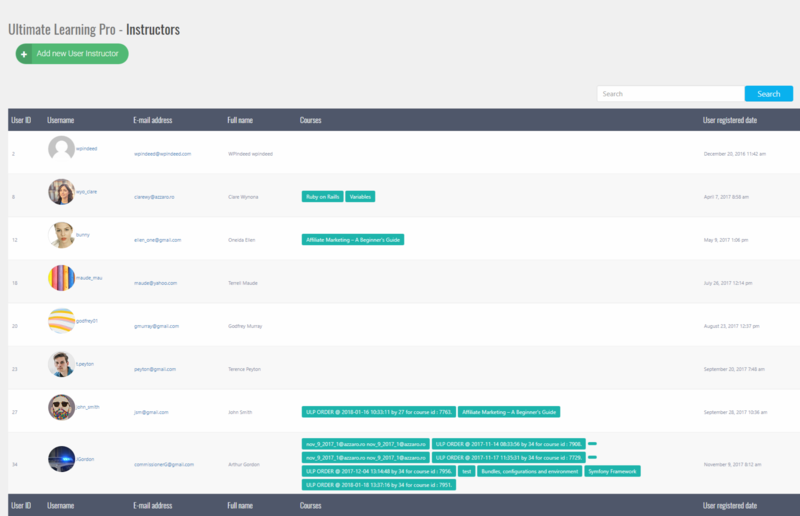 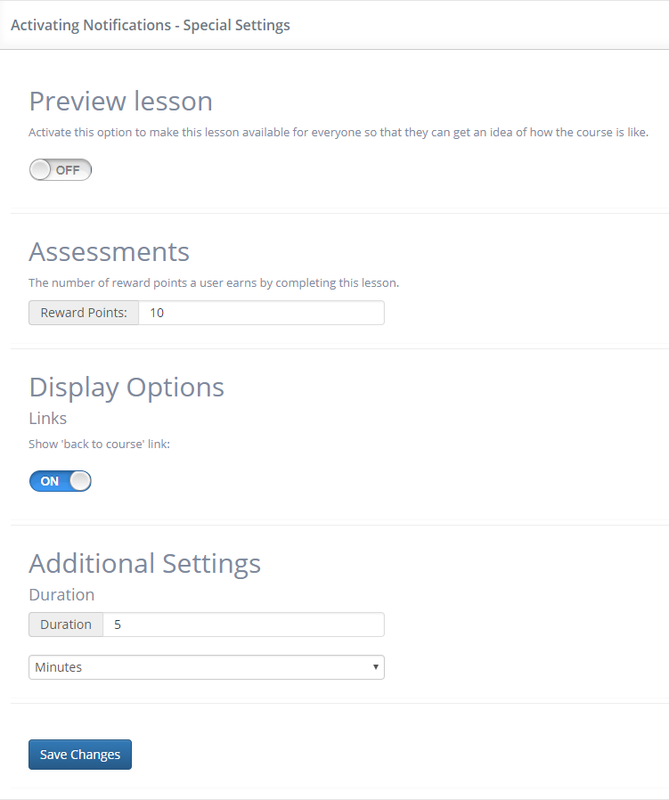 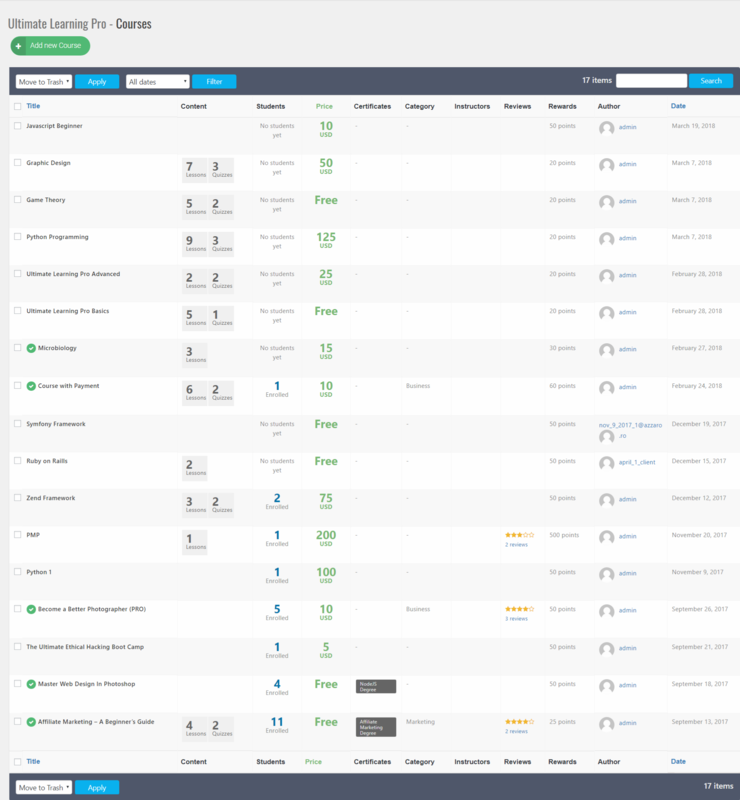 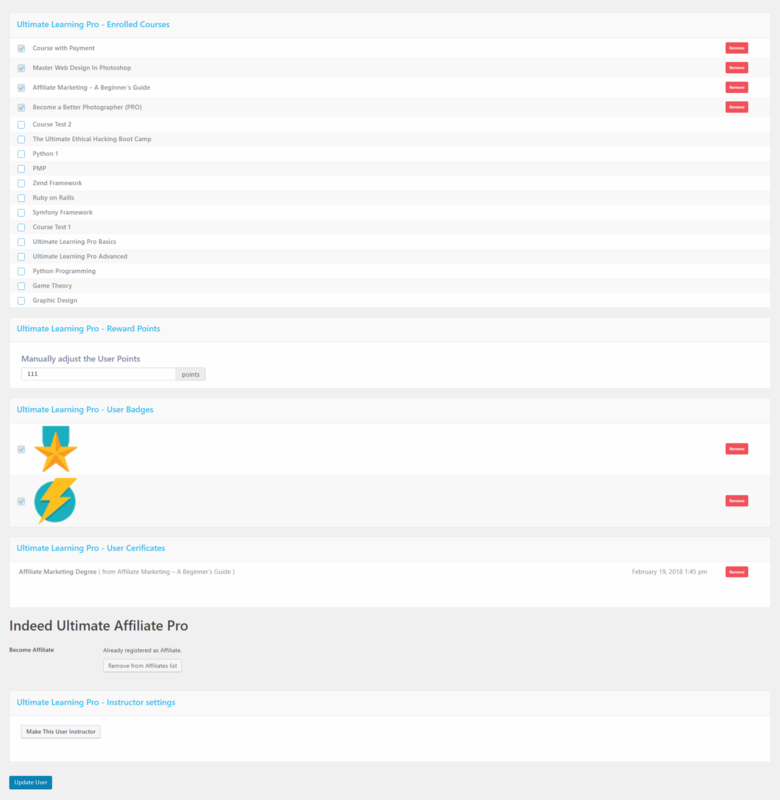 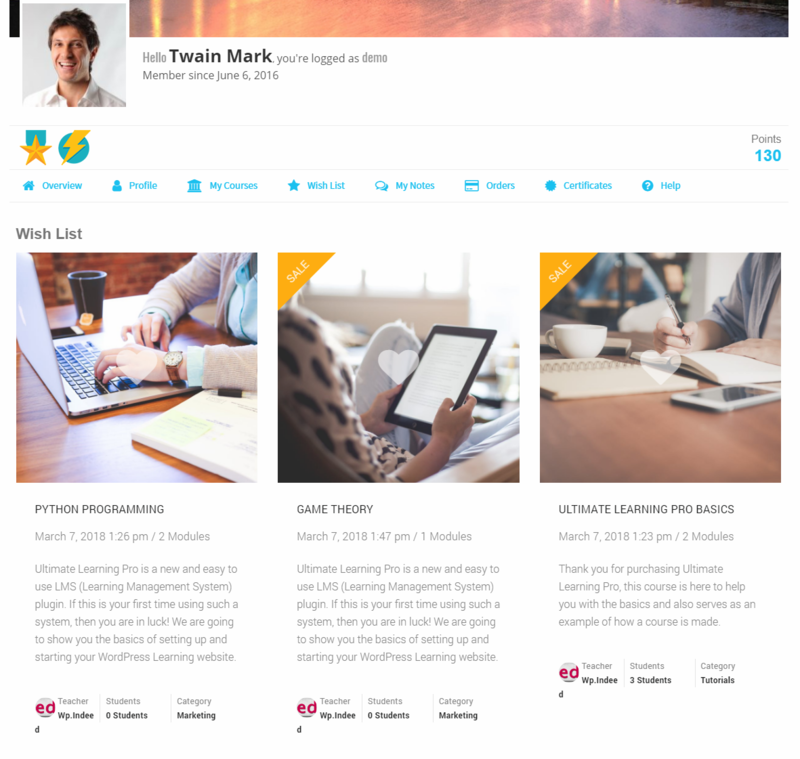 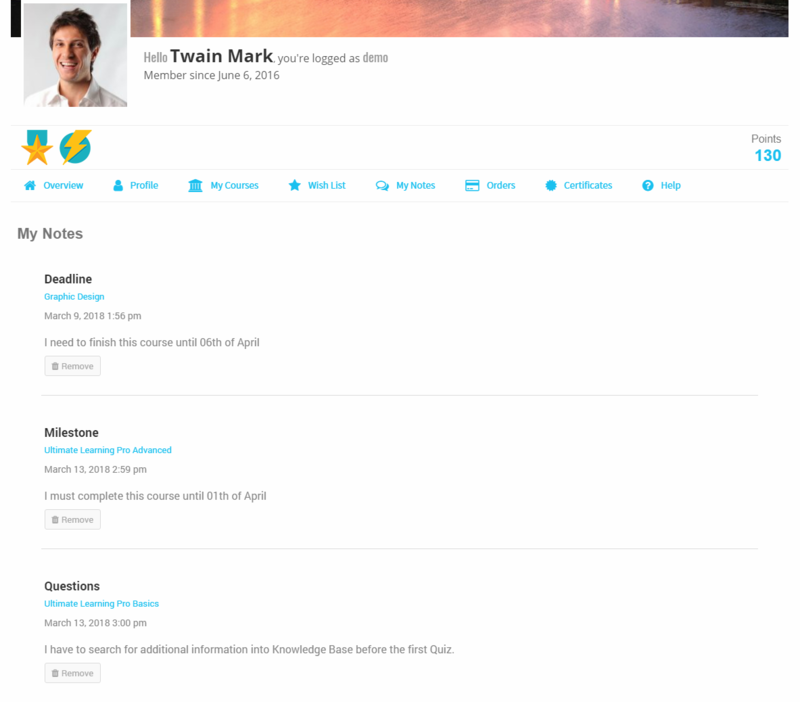 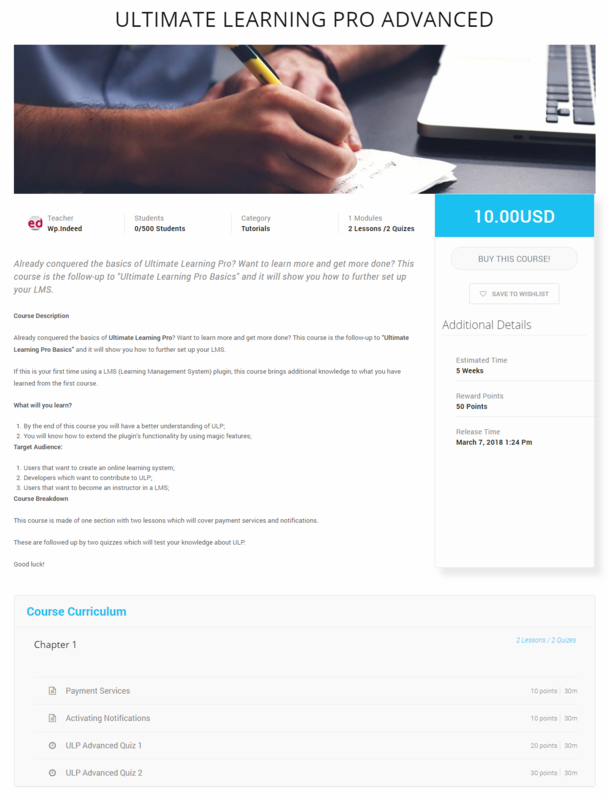 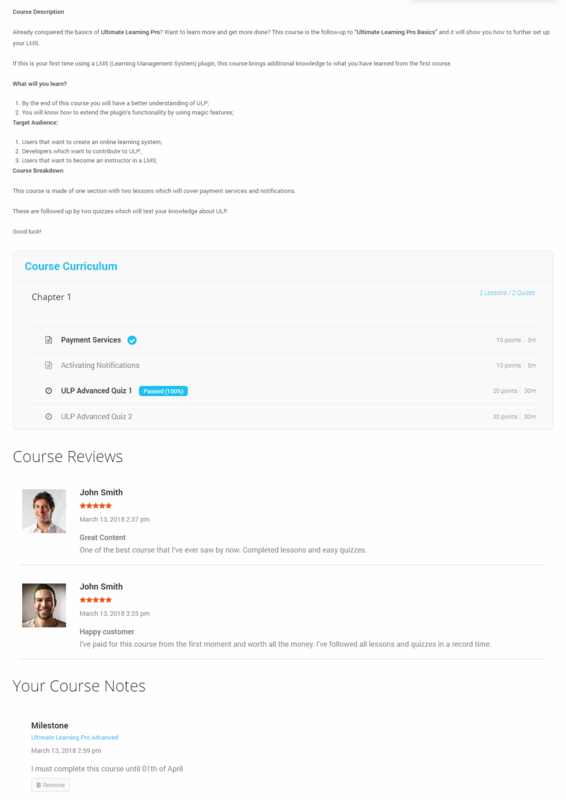 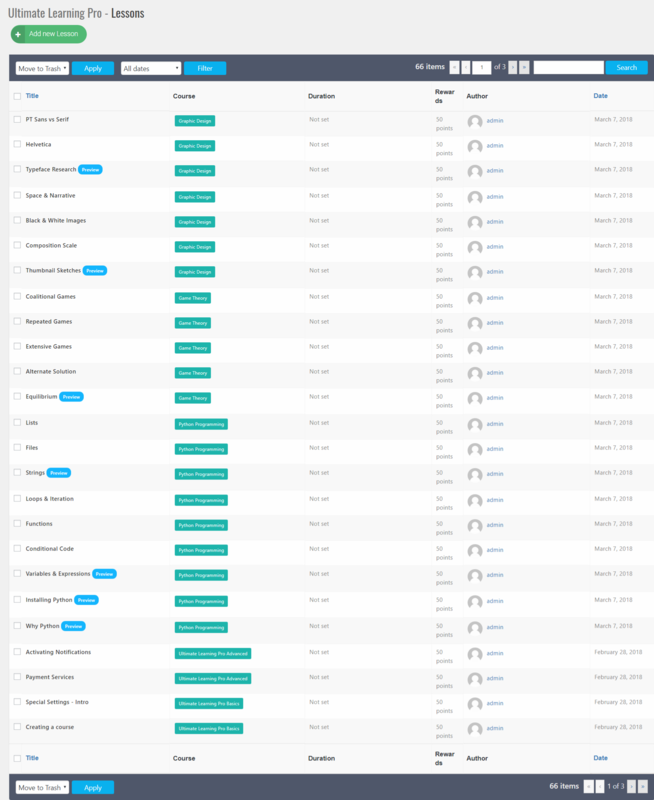 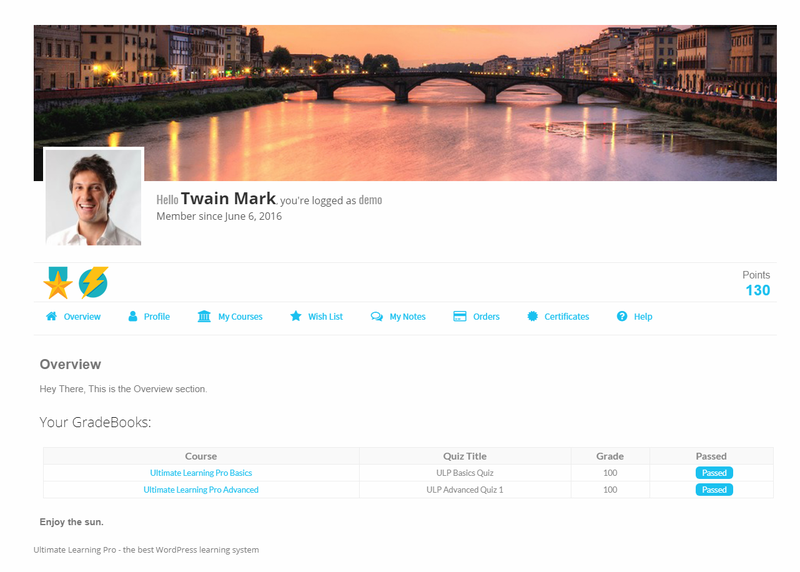 - Improve Admin courses list. 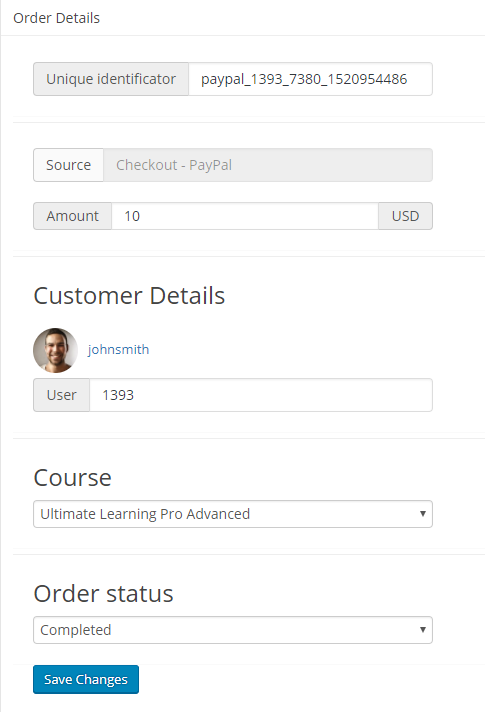 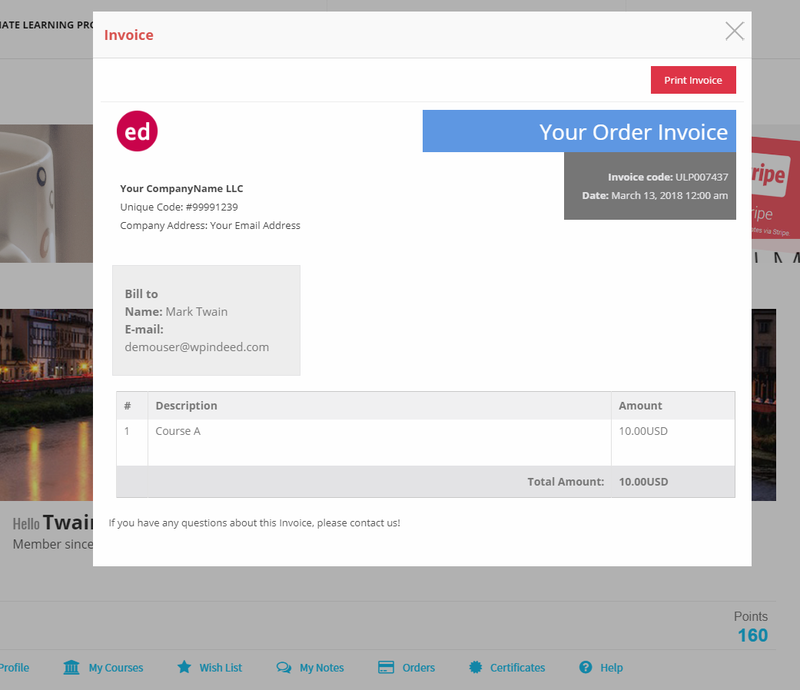 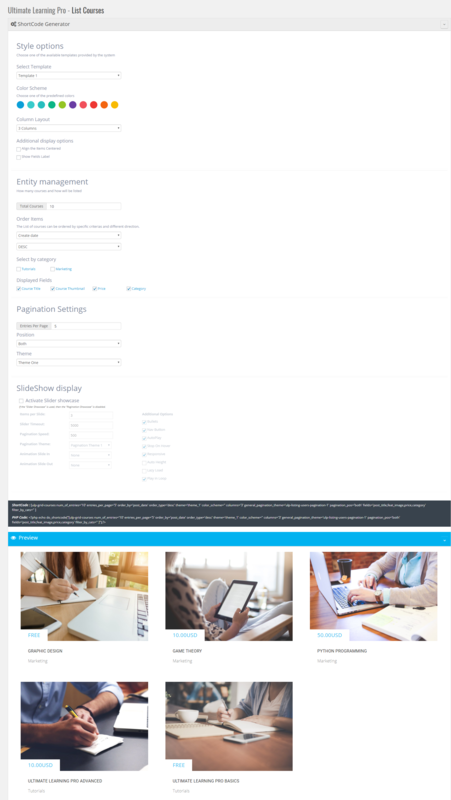 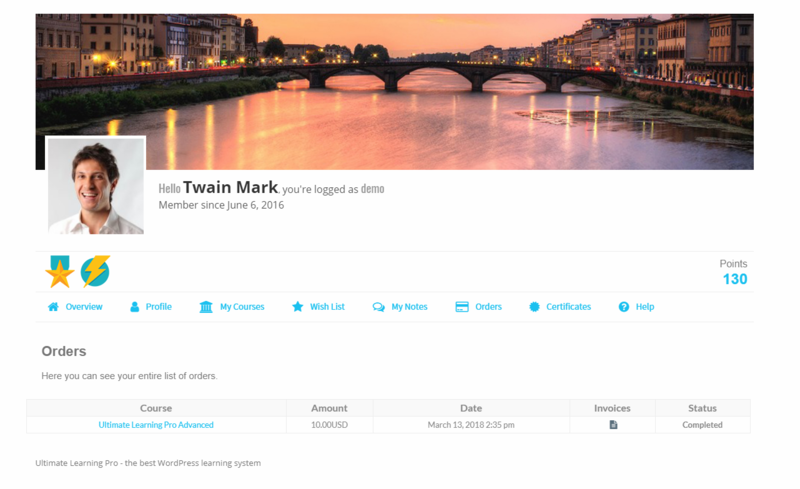 - ADD Checkout message for non-logged users. 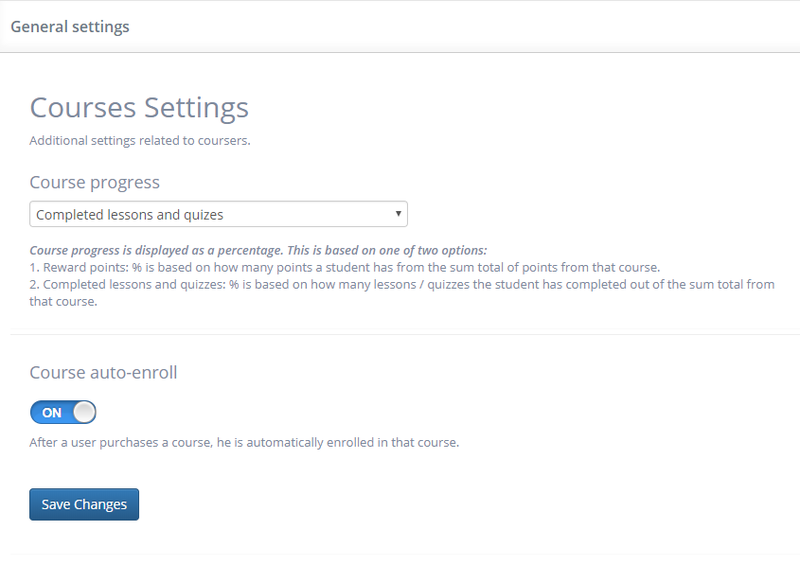 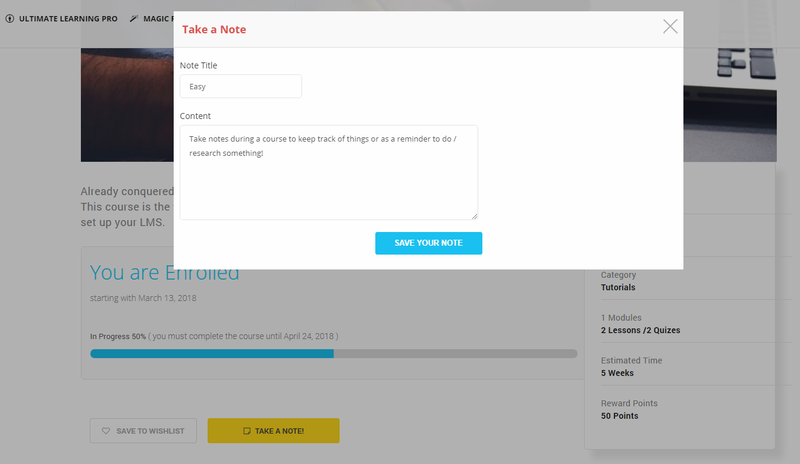 - ADD New Module: "About Instructor Box"
- ADD New Module: "Students also Bought Box"
- ADD New Module: "Instructor Public Page"
- ADD New Module: "More Courses by Current Instructor"
- ADD New Module: "Courses Tags"